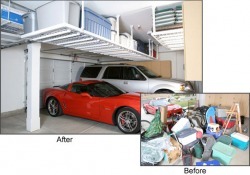 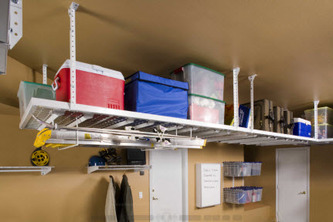 Overhead storage racks will your turn your clutter into easy-access, out of the way storage. 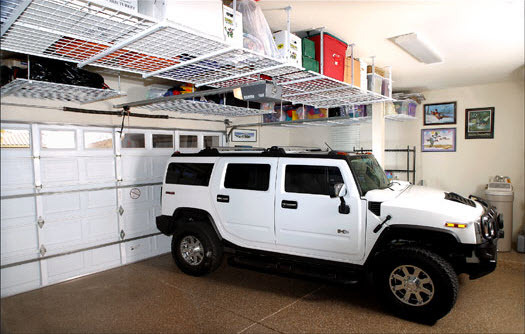 Whether you are looking to store holiday decorations, sports equipment or books, you can easily fit items in your garage if you have the proper storage racks in place. 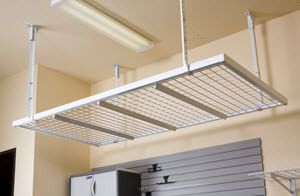 9 Sizes to fit any space.